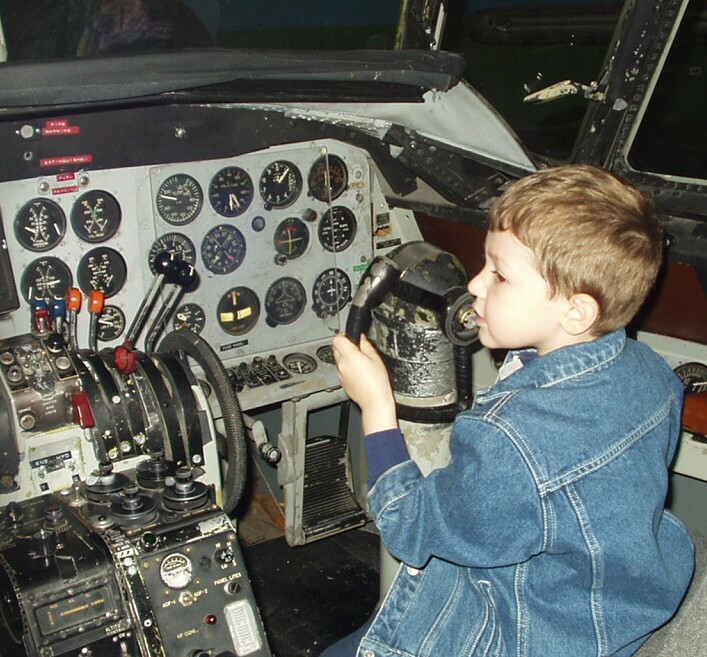 Back in 2006 I visited the Cradle of Aviation Museum on Long Island, NY with my grandkids. I was surprised to find that I really enjoyed the place. I'm not from New York and aviation is not something I've ever really been that interested in, but they did a good job of presenting something I always like: a story. I came away impressed with their collection and felt I had learned about early aviation history and how Long Island figured in it. I got to thinking about the place and found myself reading some articles on early aviation and woman pilots and found one I wanted to check out: Elinor Smith. From what I found online, I knew her birth date, where she grew up, her father's name and occupation and the name of a brother. The family proved elusive. On Ancestry.com, I finally found a family in the 1930 and 1920 census enumerations that fit. Dad and brother had the correct first names. Dad's occupation, a vaudeville actor, was right. Freeport on Long Island was the exact place she was born. It all matched except the last name. It wasn't Smith, it was Ward. Everything I had read about Elinor Smith was unequivocal about her maiden name, which she used throughout her aviation career. I had to believe this was the right family in the census but how to find out for sure? So far I'd spent a fair amount of effort on this hunt. Finding someone in the census with a completely different last name takes some time. I could not give up now! I found a copy of her autobiography, Aviatrix, at a nearby library and looked for clues. In the credits were several names including some with the name of Ward. This was the name I had found in the census. Case solved. The only thing I did not know was why she used Smith instead of Ward. I wasn't about to call a 95-year-old woman and ask about her secrets and I didn't want blog about what she might be hiding for some personal reason. It was all very interesting but I shelved my research. Elinor Smith died last Friday. The New York Times carried the story of her death and included the information that her father was Tom Ward and he had changed the name to Smith because there was another Tom Ward on the vaudeville circuit. So much for my ground-breaking discovery. But it was a fun ride and I got to know an amazing woman.